Do you own an apartment building or complex and have been having problems filling all the units as of late? Are you able to fill the units but find it takes longer than you’d prefer? Obviously as a landlord, the longer a unit sits empty, the longer you will go without that rental income. Filling units quickly and with the ideal kind of tenant is usually a top priority for landlords. One problem that landlords may have is with curb appeal. Even if the units are done up to the max inside, it’s the exterior that potential tenants will see first. What this means is that by investing some money in improving your curb appeal, you could see that pay off where tenants are concerned. Here are some tips you can use that will amp up your current curb appeal. A big pro for tenants is to offer them a parking spot, but if your parking lot is pitted, filled with holes, and looking worse for wear, you're not exactly giving off a great impression of your building. It creates a sense of neglect, which is not at all what you want to convey. Parking lot repaving could be the perfect solution, providing tenants with a smooth flat surface to park on. If there are drainage issues connected to your parking lot, this is also a great time to address them. It’s also important you understand what kind of impact greenery can have on the building. A well-kept garden at the front entrance will make the building appear cared for, welcoming, and more luxe. Be sure to plant a variety of shrubs and bushes that flower to add that extra pop of color. Once the garden is planted you will want to be sure it is well-maintained, which may require you hiring a regular landscaper or gardener if you don’t want to do it yourself. This tip will not only improve your building’s curb appeal, but it also helps to boost the safety of the building. Making sure that all pathways, entrances, and exits are well lit is an absolute must. Is a Fresh Coat of Paint in Order? Take a close look at the paint on the exterior including doorways and windows. Is anything in need of re-painting? A fresh coat of paint can do absolute wonders for the overall look of the building. If your apartment building is located around a number of other buildings, then you may be running into the problem of having yours fading in the background. If that's the case, installing a prominent feature can help your building stand out. This could be a water feature, a new sign, decorative rocks or landscaping, etc. 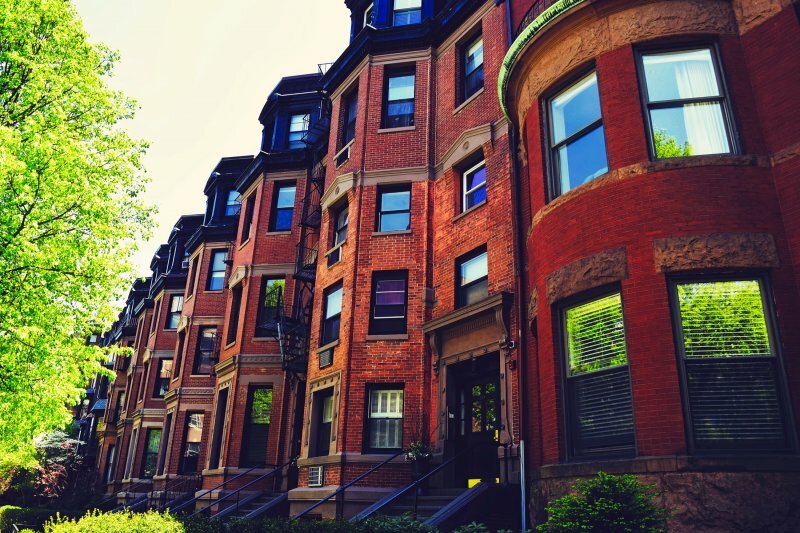 By using these tips to improve the curb appeal of your building, you will find that potential tenants see your building in a whole new light, which means you’ll fill it that much faster and easier.